Ooh, one thing I missed, the Fuller Memorandum is autographed! Today a much awaited package from distant lands arrived and peeked my interest further with an array of beautiful and mysterious stamps! (It is very interesting to note that apparently the English post offices will recognize stamps from otherworldly post as official and place a post mark on them.) The outer package gave little indication of from whom the item came calling....but their was a wondrous hand written rambling lyric speaking of being lost in dreams. MY curiosity working double now I tore into the package to discover the inner leaves bore strange signs and warnings, yet I knew the seals and their terrifying wonder already so I plow forward unhindered. Inside I found a box wrapped in the cloth of modern mummies of the age. I carefully unbound this drapery should it be needed for later dating and authentications. My horror rose as within was revealed a anciently decorated sarcophagus labeled quite clearly Curse of the mummies tomb, and my trembling hands were already prying open the ancient sarcophagus as if possessed by unseen forces. nesting in the interior I beheld the glory of my obsession, Rendered in one of many different visages was printed repeatedly across a glorious goldenrod background stood the King! Tools were now required to go further, I dare not damage the protective wrappings bearing his image. Within these was wonderful seasonal cards of the lost city Yatill and hints of Carcosa itself! My mind reeling I found myself unable to breath as I moved through the rest of the beheld treasure within. 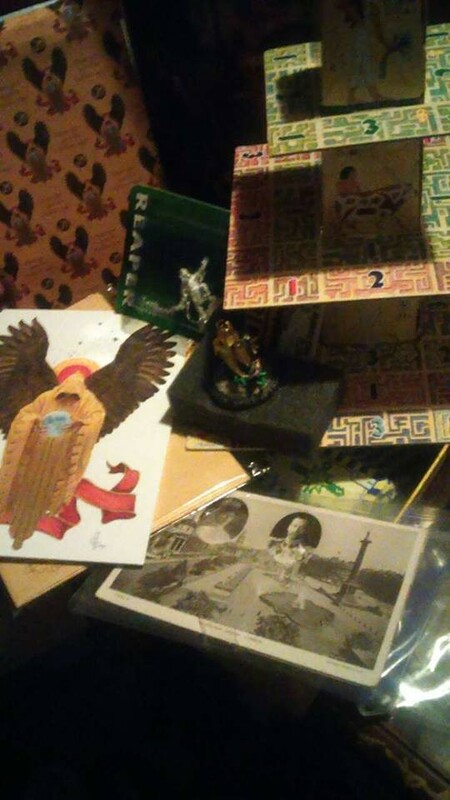 Old and beautiful post cards from some lost era and the visages of ancient civilizations and the truth behind their great curses (this 1988 game is the greatest gift EVER for some one who is as obsessed as I am with egypt, role playing and cthulhu! Customized with a menacing King of Mummies or it would seem at my discretion the Beautiful custom painted King in Yellow himself.) The tiny idol before me held all the glory of his crown less visage, bearing the great horns of his darker calling, though wingless in this rendering still frighteningly posed with great royal staff in hand. My eyes were tearing at this point and though the world seemed to spin for the joy of it I recall the warnings and wonder if I should have heeded them....but to see even this tiny idol rendering of my King, this cultist sends their deepest thanks. Perhaps now my dreams will bring me closer to the great kingdom! The order of two worlds shall bring this decaying social experiment that is Earth to the glory of the Hades, and the black stars that swell their. I could never hope to do the items received any justice as I have the worst camera ever found I think. That being said to the mysterious sender out there this cultist and keeper of lost lore thanks you from the bottom of their dark and twisted little heart. 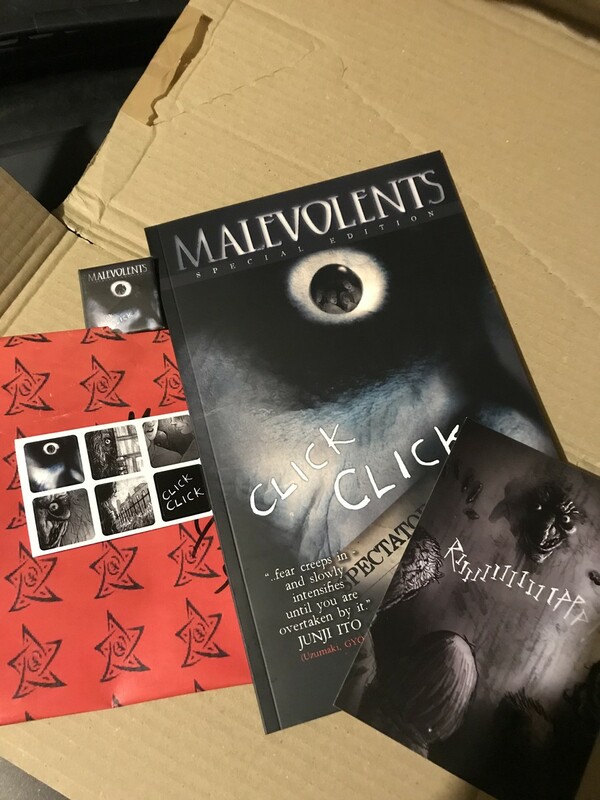 Thank you, Secret Shoggoth, for this nice selection of reading material! Should keep me busy for awhile, and I'm really looking forward to re-reading Lovecraft Unbound; I had a copy years ago, and loaned it to a co-worker who lost it. They're was no way you could have known this, but I'm very glad to have a new copy! 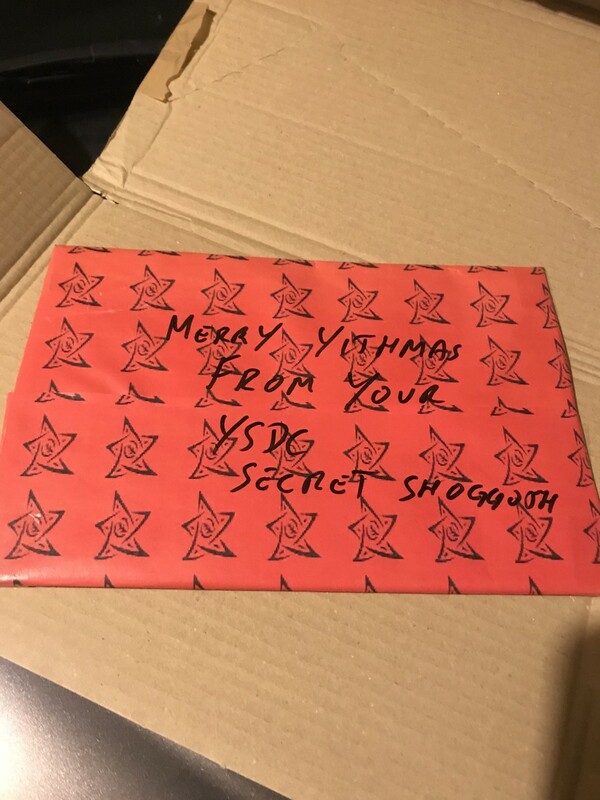 A very merry Yithmas and an eldritch new year to you! Well color me surprised!!! I don't think I have ever quite gotten a present like this before from a Secret Shoggoth. It took a couple of tries to download the files (and then attach a .zip extension for it to work), but what do you expect from those DG folks using anonymous servers? Anyway, my SS provided me with a personalized, one of a kind, Night at the Opera scenario for Delta Green. And when I mean personalized, I mean, research and set in my current locale (my home town for much of the last 20 years), and an NPC named after myself, as well as tons of supporting documents, including audio files and handouts. I don't have any pictures to share since its not a physical product, but I am without a doubt truly impressed and honored!!! I think I will remember this Secret Shoggoth gift for quite a while. Now to round up my regular players for this Yule tide surprise and take them out to a Night at the Opera! a personalized, one of a kind, Night at the Opera scenario for Delta Green. 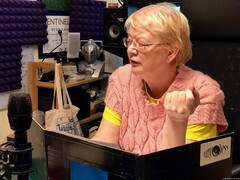 And when I mean personalized, I mean, research and set in my current locale (my home town for much of the last 20 years), and an NPC named after myself, as well as tons of supporting documents, including audio files and handouts. Oh, that's good. Make sure you are buried with it, you'll have collectors scratching at your coffin to get to it! Finally I was able to pick up my package from the post office and was very excited what was waiting for me. After unwrapping I also found two books, one of which I have never heard of and a graphic novel I'm very keen to read! So thank you very much Secret Shoggoth!! The cookies are great and half of them are already gone by now, the rest has been stowed away for afternoon tea/coffee. Thank you again and I hope you too had a great Christmas!! It looks like everyone had had a great haul this year If you haven’t posted yet it would be great to see what you have received. Hope you all had a festive and happy season! I'll post a pic as soon as my goodies arrive. Having been a good little bipedal creature this year, I was thrilled to hear pseudopods on the roof that told me the Xmas shoggoth was here! Bringing me an awesome looking book. Together with an awesome card. Thank you Secret Shoggoth and bless your albino penguins! Many thanks to my SS. Got this spooky comic from England with pIn, stickers and card. 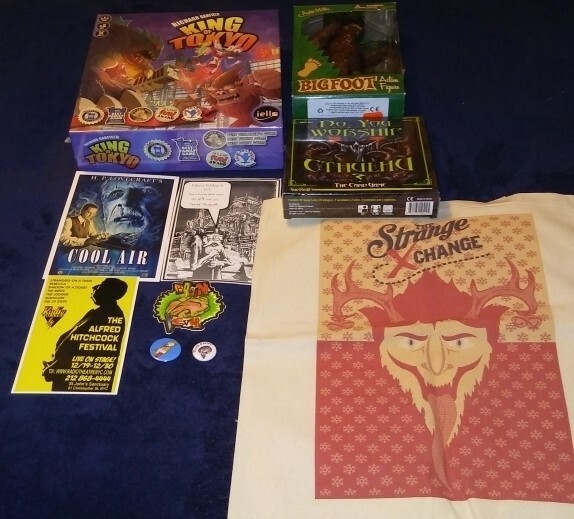 Plus custom elder sign wrapping paper. Very nice touch. im a big fan of horror comics so this should be a fun read. And a happy new Aeon. Hello Mystery Shoggoth! I am tardy in extending a warm thank you now that I have finally opened my gift. 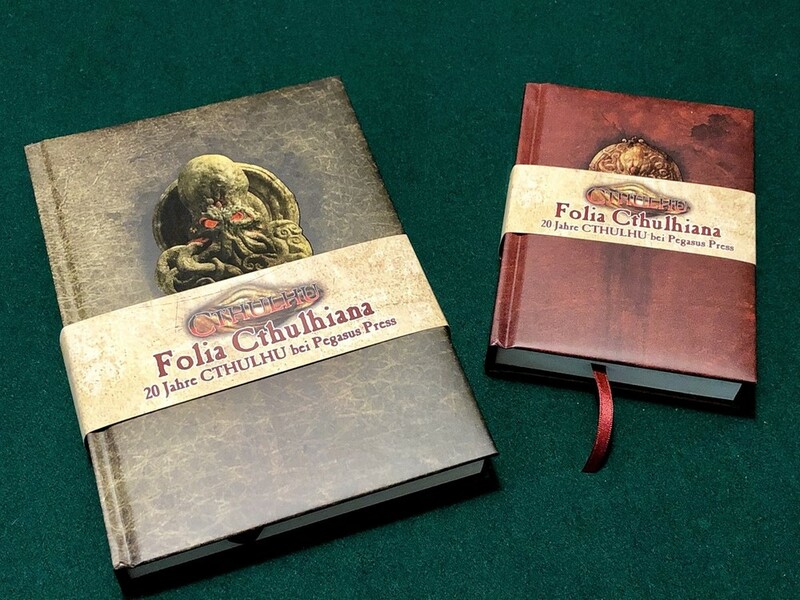 Whilst the children tore open packages of toys and vidya games, my squamous shoggoth bequeathed unto me a magnificent leather journal cover with multiple inserts and a fabulous set of pencils. Photo attached! It was truly a special surpise. Thank you very much for the magnificent gift which will be surely used to chronicle my descent in to madness. 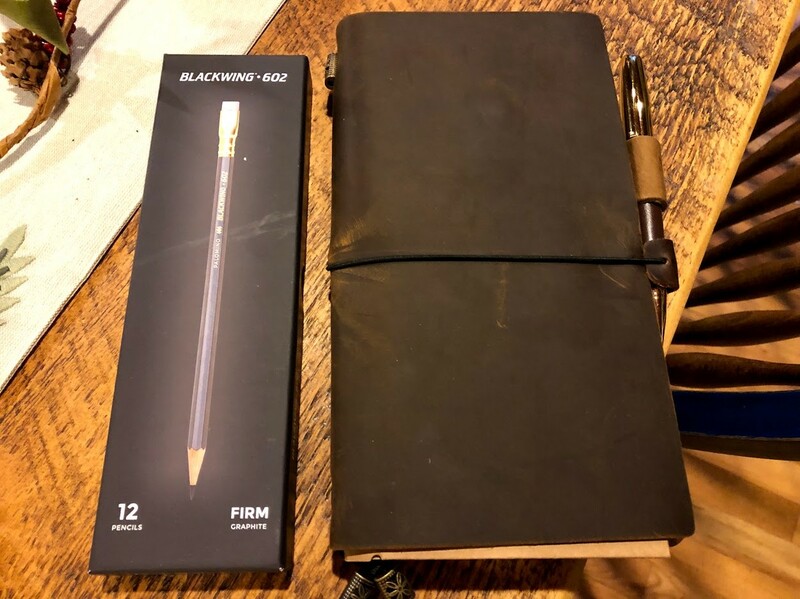 Blackwing 602 – a classic pencil! That's a great gift! I have the same journal, and it has become indispensable! It functions as notebook, calendar, and wallet -- and fits neatly in the inside pocket of my brown tweed jackets. 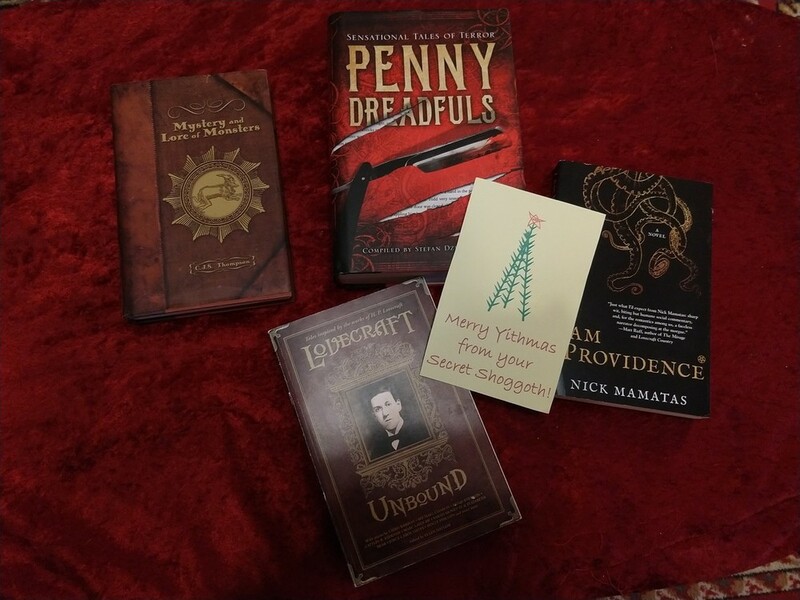 Not technically a "Secret Shoggoth" gift, but someone knowing my proclivities, very generously sent me these! I'm really sorry for being late on this. We had a couple of illnesses run through the family, and by the time we had recovered I forgot that I hadn't posted my thanks yet. I am very grateful for the generosity of my Secret Shoggoth. Thank you again!! !